In Agoura Hills bathroom remodeling is the hottest renovation project going on right now. The industry has gone through so many changes, there are more features you can add than ever before. If you want a luxury spa to relax in the best time to get it is now! The best start is to collect design ideas for bathroom remodeling on the internet. Browse through remodeling magazines and get a feel for what you can do. You are going to be amazed at the latest selections for baths, showers, saunas, as well as decor ideas. 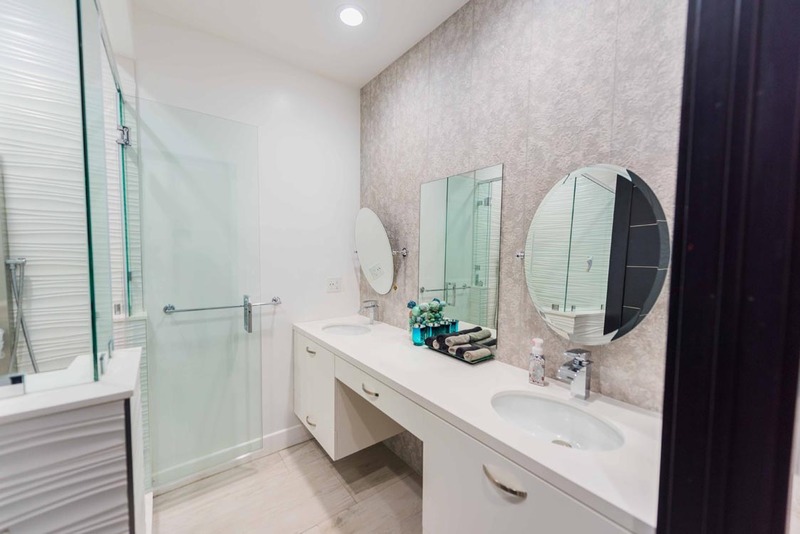 After you get a good sense of what you want to do with your bathroom remodel in Agoura Hills, it’s time to sit down with experts. H&A My Design has designers that bring your bathroom remodeling ideas to a higher level. We can show you all the details that will make your ideal bath that much more perfect. And best of all, it’s affordable! If you are thinking about bathroom remodeling in Agoura Hills, CA and want stunning results, call H&A My Design. Bathroom remodeling has matured over recent years and it’s a great time to start your project today in Agoura Hills. H&A My Design will explain you how to get you precisely what you want. We’ll build your ideas into a matrix that highlights your theme. We set free your imagination so you will get the bathroom you have been dreaming about. We’ll show you 3D modeling of your finished bath and provide a full color animated walk-through of the results. We want the remodeling experience to be easy and fun. We’ll take you through your project in Agoura Hills fast and smooth. With over 20 years of experience in Agoura Hills bathroom remodeling, H&A My Design has the reputation to back that up with. If you are ready for a Agoura Hills bathroom remodeling consultation, call us. Our designers are happy to sit down with you and work your ideas. We’ll help you define your dream bathroom remodeling. Right now, you probably have a lot of great bathroom remodeling ideas. H&A My Design will pull those ideas together into a finished design that your whole neighborhood will be jealous of. First we will see if bathroom vanities, toilets, tubs, and sinks may need to be moved during the project. Pre-design, design, and project management is where H&A My Design really outshines the competition. You’ll get the bathroom of your dreams in Agoura Hills and it will be within your budget. Don’t worry about changing the floor plan. Completely changing the existing floor plan could make a lot of sense with your design. For instance, if the first thing people see in your bathroom is the toilet, it’s a good idea to change that just for the aesthetics. When it’s carefully thought out at the beginning of the design process, your bathroom will be a masterpiece. The bathroom doesn’t just serve as a utility room anymore. Call today for an appointment with H&A My Design.